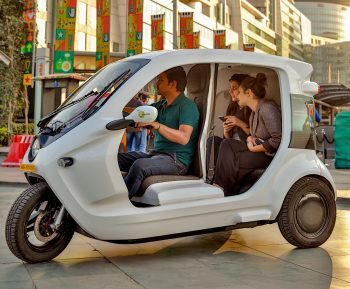 As an electric pod manufacturer in the ever shifting transportation landscape we want to understand how the future market will look like and how we can continue to evolve and provide solutions in the urban environment, especially when it comes to connecting the first and last mile. As a way to really tap into this knowledge we decided that we needed to test this in real-life conditions, where we could experience how our technology would be affected by different business scenarios. 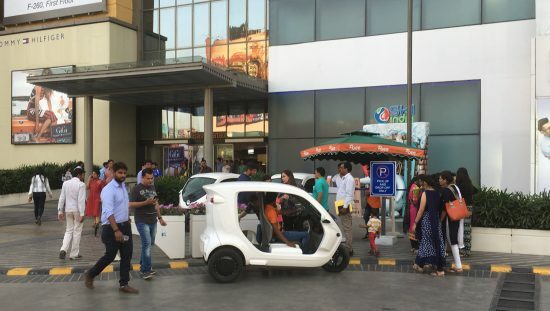 challenging places on the globe, India, and we started to operate a podtaxi service right at the core of the vibrant business district of Gurgaon in New Delhi. 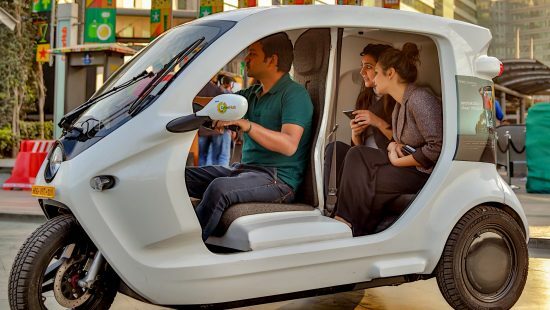 We thought that for electric vehicles, there needed to be a sort of home base, a hub, for charging and for customer interaction. Instead of a free floating version we thought that a hub and spoke model would be ideal for a number of pods to be launched as a single fleet that operates together to pre-defined locations. The Hubs provides a base to operate the podtaxis. This includes parking and charging infrastructure. When we started our journey in the beginning of 2016 in Gurgaon, we signed partnerships with one of India’s largest real estate companies, DLF. The first hub was set up at DLF Cyber Hub where we gained a lot from this living lab and live experience. The feedback was we used to tune the business model and its way of operation. About a year later, in the beginning of 2017 we had built enough experience at the first hub, to have the confidence to meet with the immense interest that we´d gained so far. 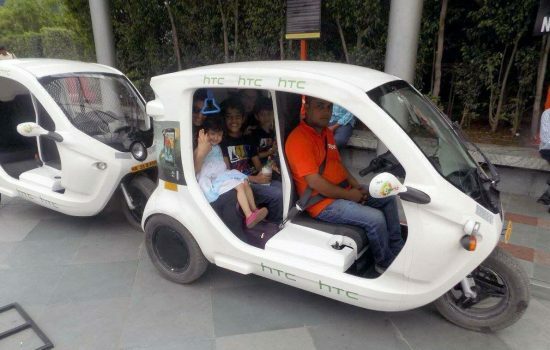 We went for the start of our second hub at Mall of India in Noida, just north of New Delhi. Provides last mile service around the DLF Cyber Hub, which is a high-end business district with modern offices, shopping center and restaurants. At present we’re operating 20 pods – 7 days a week. As our hubs will continue to increase in both sizes and areas around India, we believe the future looks very promising that we´ll create a great impact on the local environment as we strive towards our goal; to connect the first and last mile – of people and goods!